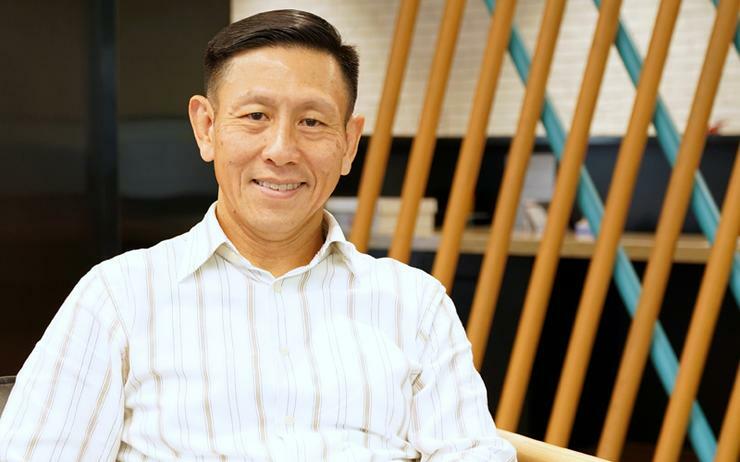 HP has urged partners in Asia to take a “leap of faith” to keep pace with changing customer priorities, as businesses outline simplification and optimisation as key priorities in 2019. Underpinned by digital transformation, the region has evolved from a market of crawlers, then walkers and now sprinters, as customers charge head-on towards innovation. “Asia Pacific represents the biggest growth opportunity in the world,” said Ng Tian Chong, president of Asia Pacific and Japan at HP. “It is an aspirational region where countries are maturing and developing at a phenomenal rate. Such trends, according to Ng, are combining to reshape the regional market, disrupting traditional business models at “breakneck speed”. “There will be a renewed focus on the creation of new technologies, seamless services, increased awareness of security and the blending of our personal and professional lives,” explained Ng, when speaking exclusively to Channel Asia. Take HP as a lead example, which now uses artificial intelligence to improve online stores, customer service platforms and internal processes. Or virtuality reality in the commercial space, alongside working with print service bureaus and healthcare providers to transform manufacturing through 3D printing. All delivered on-demand in the form of everything-as-a-service (XaaS), spanning both print and PC portfolios. Following a recent public address to the Asian channel - as revealed exclusively by Channel Asia - Ng insisted changing customer demands are moving the goal-posts for partners across the region. “The first is the shift from complexity to simplicity,” Ng explained. “The environments in which our customers operate are increasingly complex. Secondly, Ng said customers want to increasingly optimise operations, impacting businesses across all sectors. “In this instance, it is really about doing more with less, accomplishing the same things quicker and with less investment,” Ng added. “They can - and do - expect experiences and solutions from brands that are frictionless, consistent and personalised. For Ng, in recognising an increased shift towards new ways of purchasing technology, the delivery of anything-as-a-service (XaaS) will be a crucial differentiator for partners in 2019 and beyond. From a customer standpoint, the move also represents a chance to transition from capital expenditures (CAPEX) to operating expenditures (OPEX), according to Ng. “While the XaaS model presents a new channel opportunity, it also creates a challenge in managing a host of supply chain partners,” Ng cautioned. According to findings from Gartner, global IT spending is expected to total US$3.76 trillion in 2019, representing an increase of 3.2 per cent from 2018. Specific to the channel, IT and communications services will collectively account for US$2.44 trillion of the dollars spent during the next 12 months, signifying a significant shift to on-demand technology purchases. “Emerging technologies are accelerating and disrupting traditional business models – customer expectations are changing,” Ng said. “The latest technologies have shifted us to an omni- channel sales world, where a virtual sales force is essential. In looking ahead, and in response to a wave of new technologies entering the market, Ng acknowledged that partners must overcome the process of managing digital transformation. “Sales-enabling technology and dramatic changes in the purchasing journey have rewritten the rules for organisations,” Ng observed. Additionally, with the increase in digitalisation, Ng cited growing concerns about security among businesses. “Customers continue to produce and consume valuable data - these make the devices they use vulnerable to be attacked,” he added. In short, Ng said aligning to digital transformation allows the channel to create long-lasting value in growing existing customer bases, backed up by increased services capabilities. “Partners who take the leap must be equipped with the product knowledge and have the ability to sell services and solutions including managed print services, device-as-a-service (DaaS) and XaaS,” he advised. “We want to make it easier and more rewarding for our partners to better understand, showcase and sell our range of products, services and solutions. And at HP, we are committed to supporting all our partners regardless of their business models. In response, Ng said both partners and customers can expect an “even stronger” product portfolio from HP, underpinned by enhanced market solutions and services. “We want to continue to be the most channel-centric player here in Asia Pacific and support our partners on their transformation journeys,” Ng said. “As the sales landscape transforms, we are focused on evolving our channel strategy to ensure that our partners are prepared for the challenges of the future.